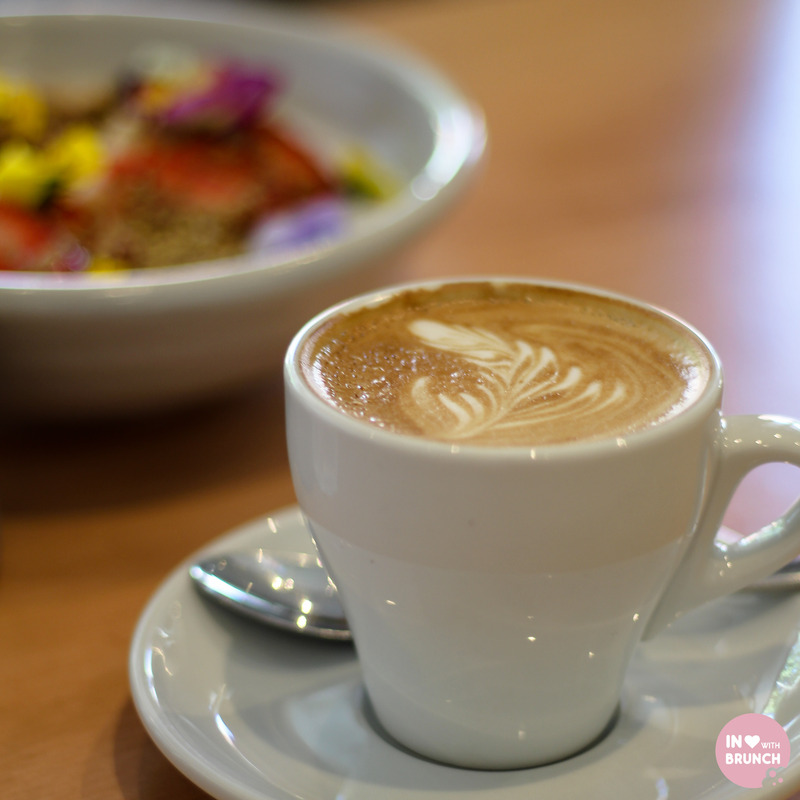 i am always up for a weekday breakfast (even if it does mean starting the day a bit earlier than usual) … and when said weekday-breakfast is with a good friend (lisaeatsworld) and in a cafe that brings a little sunshine into your life… you know you are in for a good day! queue little sunflower cafe in elwood. 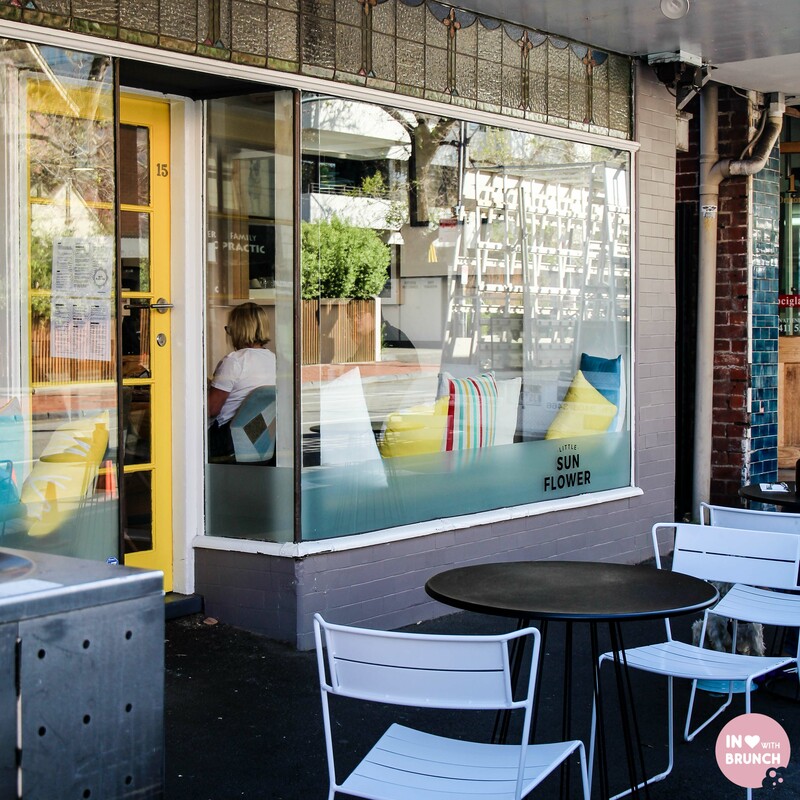 this charming cafe on ormond road opened only a few short months ago and is the passion of owners grant waters and angie robertson. 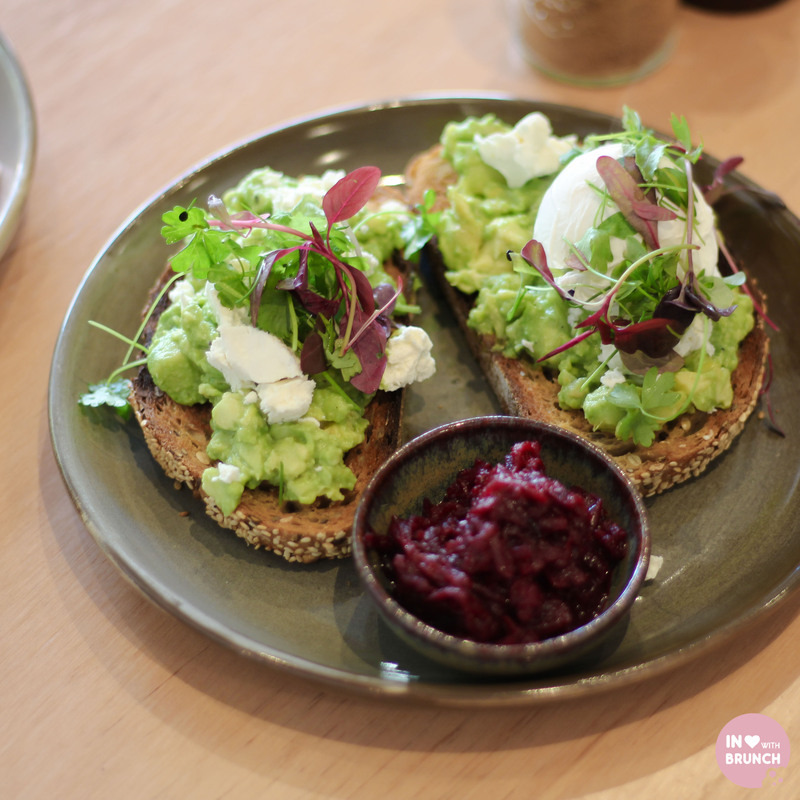 the location is well-known to locals as a food venue, but the decor + menu has had somewhat of a spring-clean. 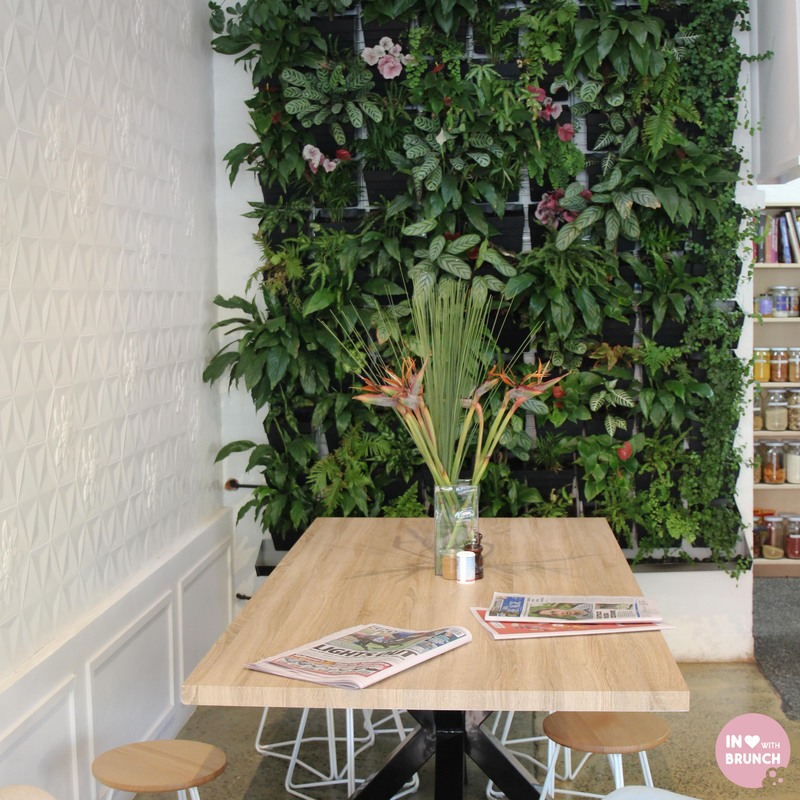 replaced with cool whites + yellow features, the cafe oozes cheerful character including a stunning vertical garden and beautiful chairs + tables. 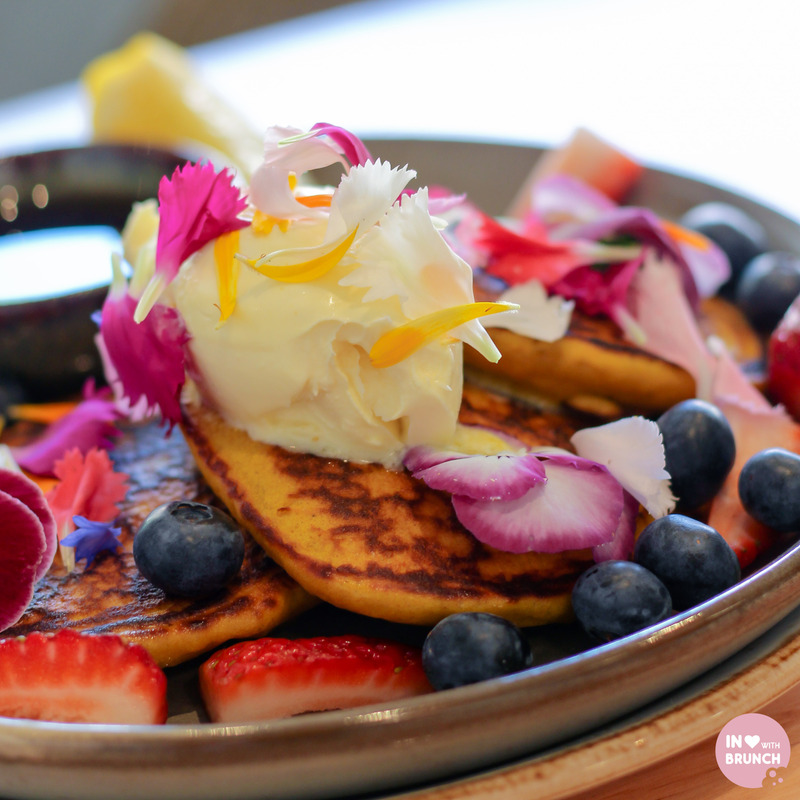 and the menu is no different – chef angie explains that little sunflower’s focus ‘is on providing the whole food, naturally’. that includes using sustainable, free-range, ethical + nutrient dense produce and preparation processes including dehydrating and cold press. naturally, we started our morning with coffee. 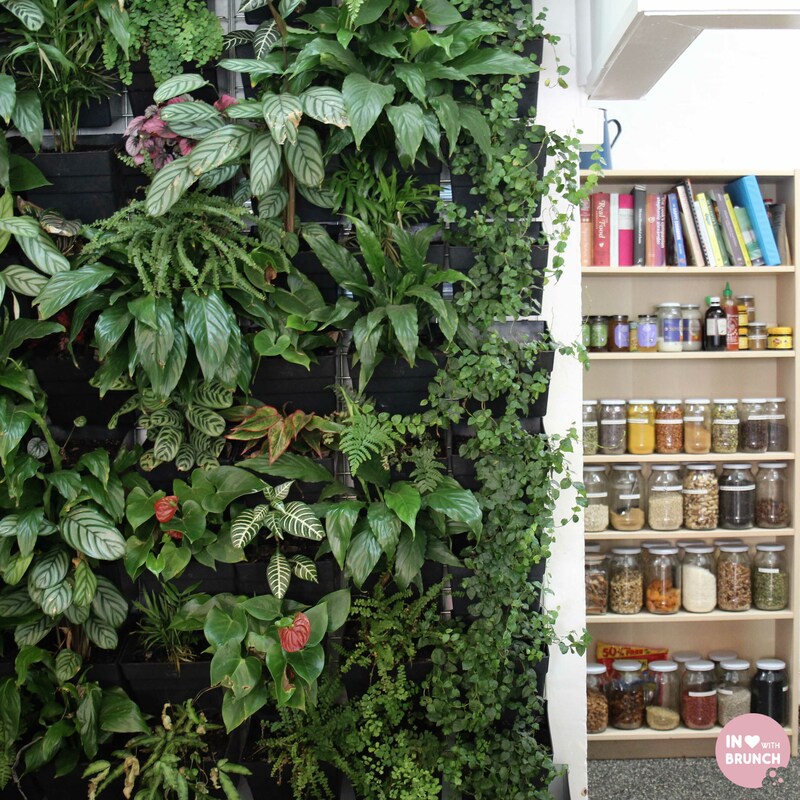 little sunflower serve allpress, along with an extensive selection of teas and smoothies. next time i’m trying the mango pash because it suits the cafes name so well. gorgeous creamy avocado and a perfectly poached egg. i love beetroot relish, and this particular marmalade was excellent – tangy/sweet and pretty addictive. i only wish the bread hadn’t been so hard/crunchy as was difficult to slice through and a bit too crispy. the flavour combination for this dish sounded so tantalising that there was no way i wasn’t going to try it. 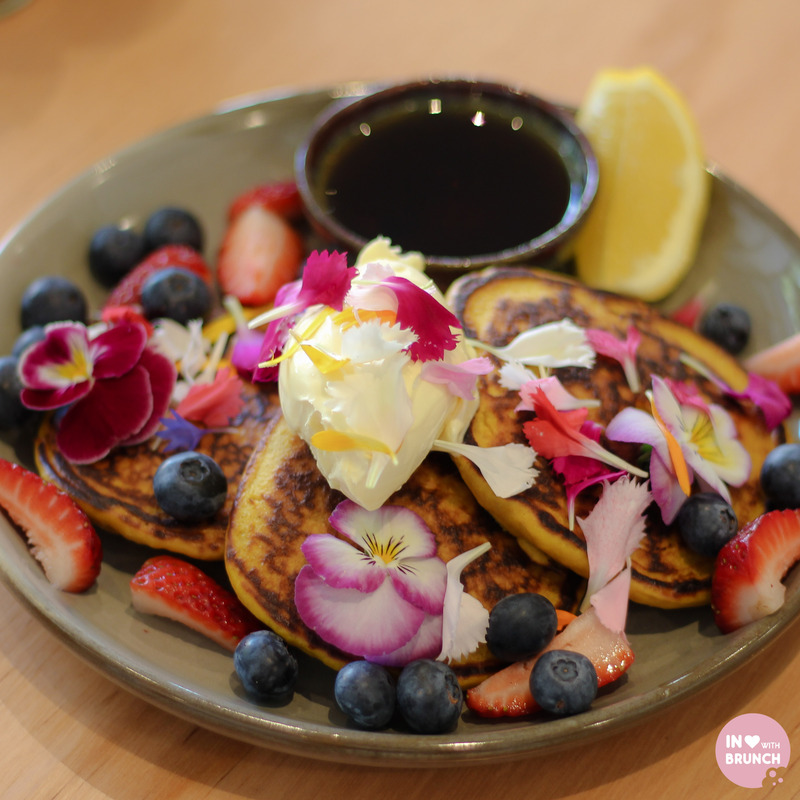 i mean, tumeric + quinoa pancakes?! however, the fragrance of this dish when it hit the table was enough to know i was going to love it! texture-wise it reminded me of the pumpkin pancakes from fifty acres, but with a lovely spicy flavour that lingered at the end of each bite. add to that the creamy element of the mascarpone + the lovely sweetness of the berries… this was one delicious dish! 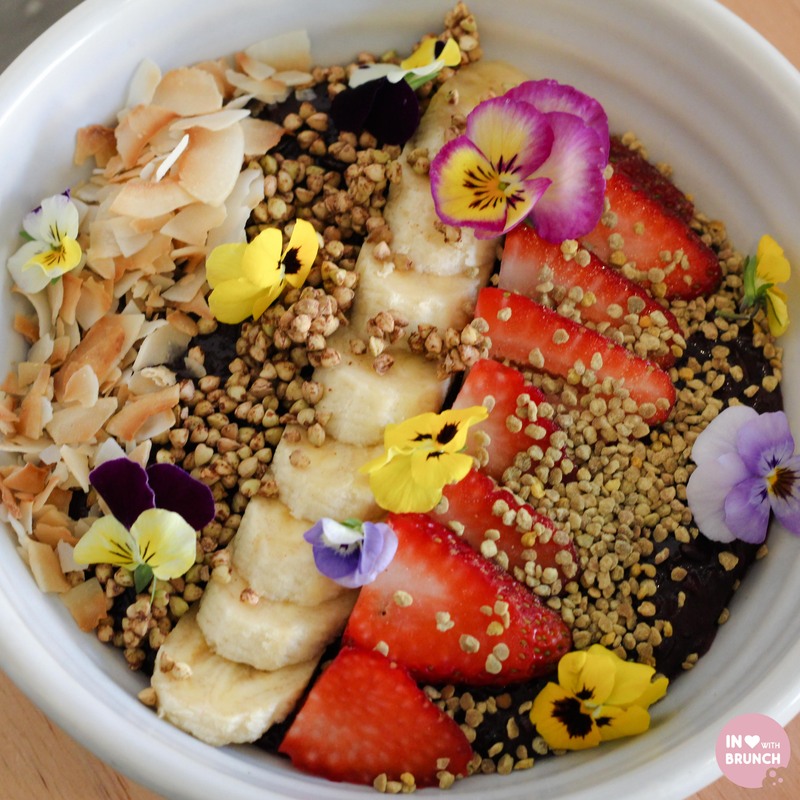 this was like a nutrious bowl of acai mixed together with a comforting bowl of porridge! 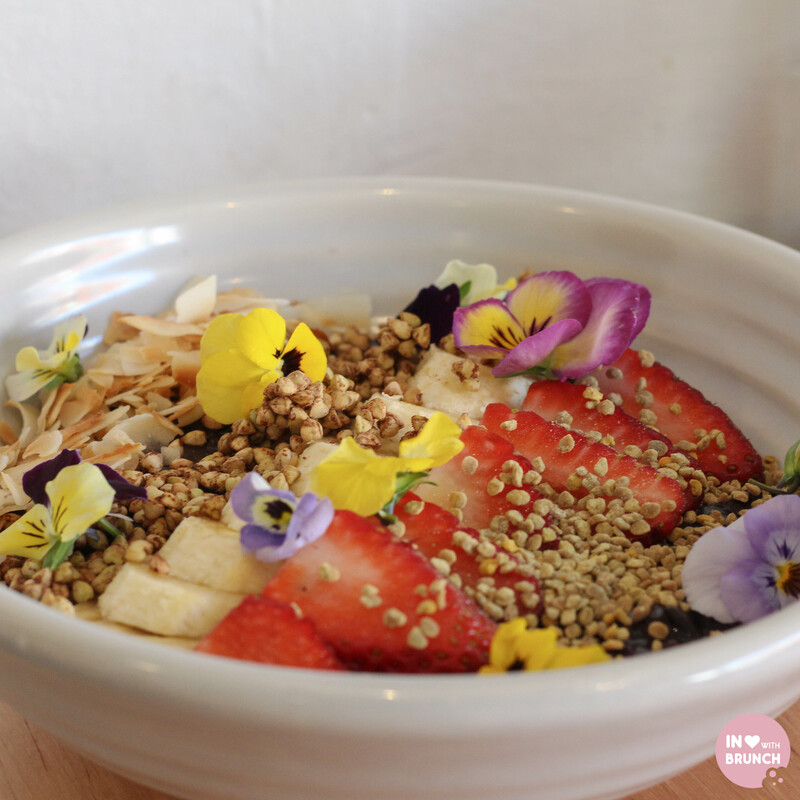 topped with heaps of fresh fruit + crunchy elements, this was my favourite dish of the morning! there are only four other dishes on the small but well chosen breakfast menu: two granola varieties, one of which is a raw granola which is made on-site in a 3-day process; a potato rosti + mushroom dish; and a watercress + spinach salad. otherwise, you can ‘build your own’ from a selection of sides. all fresh + full of nutrients. 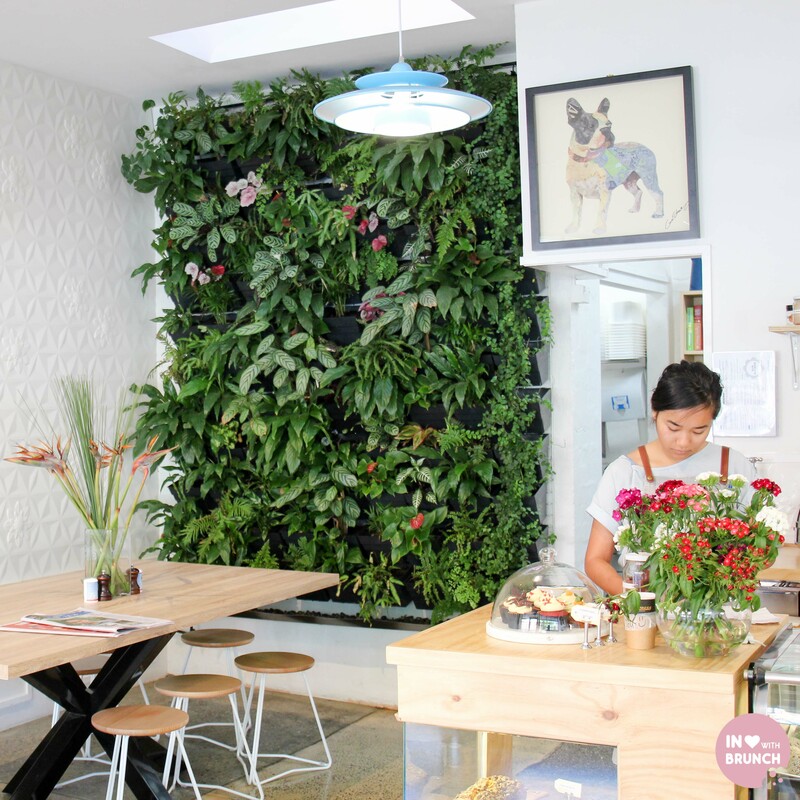 as i’ve already alluded to the atmosphere at little sunflower is infectiously cheerful – it feels as if a lot of love + personality has been poured into each facet of the cafe, right down to the informative nutritional guide on the menu. and the customer service matches – personalised, smiling faces + attentive. 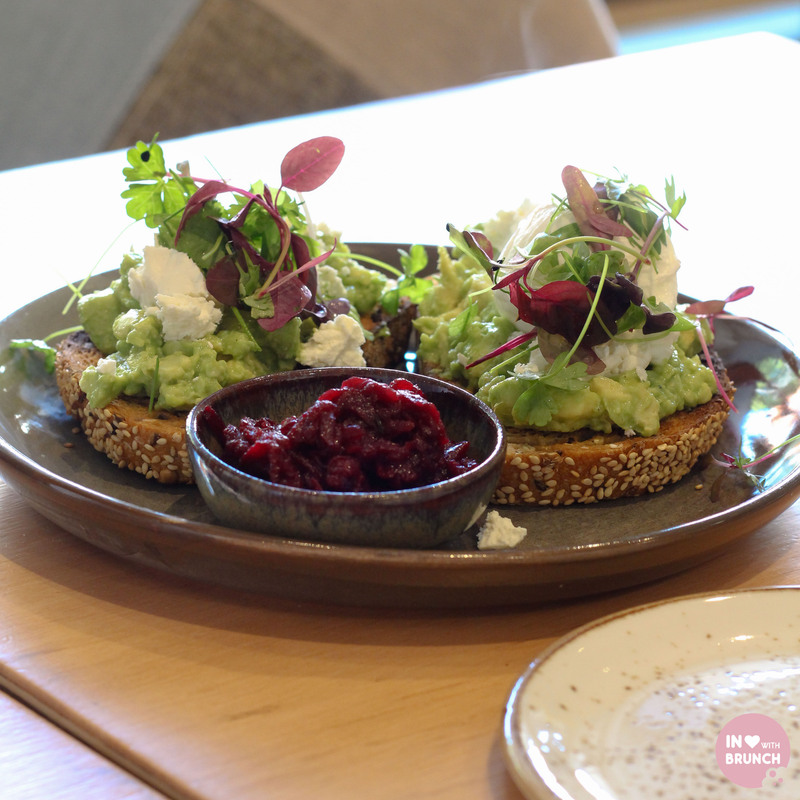 grant + angie are pouring their heart and soul into this cheerful little space in elwood and i truly hope that the locals + melbournites get on board with supporting their wholesome, healthy + delicious philosophy. verdict: i couldn’t help but leave smiling from ear to ear!